About 20 years ago, the zoological society that oversaw the system of zoological facilities in and around the New York metropolitan area underwent a brand facelift. They became the Wildlife Conservation Society—a deep integration of the five metro facilities with the conservation organization that had existed since the late 19th century. And, as I’m sure they would argue, it was much deeper than simply brand: it was a laser sharp focus on mission. Specifically, the mission of conservation. The discussion of zoos as conservation organizations is admittedly a quagmire: zoos and aquariums are no doubt contributing to the conservation of species. The degree to which they are contributing depends on the individual institution, and the public perception of them as conservation institutions is probably as convoluted. But this post is not about zoos as conservation organizations. This is about conveying that message to your public. This post really is essentially about brand. 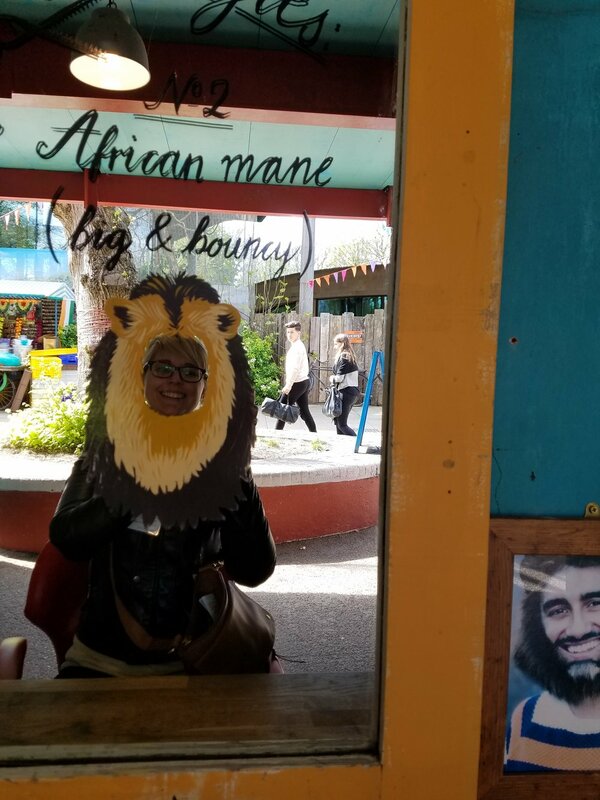 Last year, I had the pleasure of spending a late summer weekend with a colleague exploring three of the WCS facilities: Central Park Zoo, Bronx Zoo, and New York Aquarium. Each are as unique from each other as snowflakes: Central Park Zoo is a delightful historic gem tucked into a city park where wealthy urbanites can escape their apartments for an hour with their children. The Bronx Zoo is a massive, day-long excursion winding through mature forest—as much a nature experience as a zoo. The New York Aquarium, still recovering from storm Sandy, is a small to medium sized aquarium on par with any found in a medium-sized city—think Landry’s, SEA LIFE, Ripley’s. However, each clearly conveyed the WCS message: We are conservation. The sea lion show at the Aquarium. The Madagascar (and of course the Congo) exhibit at Bronx. The Rainforest exhibit at Central Park. Each clearly stated and restated the conservation issue, the solution, and how WCS is involved. This is done through graphics, video, docents, and message-driven immersive storyline. The exhibits are beautiful. Each thoughtful, innovative, and clearly immersive. Each exhibit created with upmost care by a talented team of designers who obviously has the formula down to a science. These places are conservation. You cannot miss it. This prototype of zoo as conservation organization is a clear success story and model for other zoos as we continue to showcase the amazing work zoos and aquariums do every day—and too often behind the scenes. As we continue to evolve this model, a particular emphasis should be focused on further blending conservation education and fun. While WCS is successfully integrating conservation into the experience, it does, at times, feel a bit heavy-handed—overwhelming guests with bad news and bleak outlooks for the future. People come to our institutions for wholesome family fun, and the integral blend of pure joy, amazement, and conservation education will be the foundation of successful zoos and aquariums of the future. by Jon Coe Greetings zoo friends and thoughtful critics! If you have fifteen minutes have a look at the video below. This is the complete elephant show from Bali Safari & Marine Park, and my long time friends and client, Taman Safari Indonesia. [youtube https://www.youtube.com/watch?v=-cNml7-KUTQ] I designed the elephant show venue, including the wrap around water feature with underwater elephant viewing. But the important thing is how this show has evolved from a somewhat circus-like show demonstrating human control over elephants to a conservation melodrama where elephants are characters in the play, often performing well out of sight of trainers. The drama starts from the expected view of forest cutters and loggers as “bad guys” (dressed in black as in traditional Asian drama) harassing, shooting, “wounding” and driving off elephant “victims”. But in the next scene the elephants become “bad guys” destroying village crops and endangering local people. Finally elephants, under proper Forestry Department management, become heroes and win local support. To me these abrupt and startling changes of perspective are effectively used to suggest the real complexity of wildlife conservation. The show mentions Taman Safari’s long-term support of the Way Kambas National Park elephant sanctuary they developed in Sumatra with the Forestry Department. But it is careful not to propose unrealistic “quick fixes” or blame either villagers or elephants. It presents, albeit in cartoon style, the realistic certainty that hard choices and compromises are required to create sustaining populations of farmers and elephants. The final message is something like “We don’t know the answer, but we know we will find the answer by working together”. Who can argue with that? On a practical level, I’m not a supporter of full contact elephant management or coercive training methods. But in this case, however training is done (and I don’t know how it was done) a number of elephants individually and collectively carry out long sequences of learned behaviours far from trainers. And while some appear to be “going through the motions”, others are clearly having fun. Most trainers would not encourage training elephants to chase people, even on stage. But the young elephants do seem to enjoy this part...wonder why! From a behavioural enrichment perspective, the elephants have a wide range of physical activities including short bursts of running and swimming in a highly varied pace, usually with conspecifics. While the routine isn’t varied, neither is the exercise routine of most human athletes and performers, who nevertheless seem to find them enriching. Most guests wouldn’t recognize the high levels of training skill and innovation required to produce such a show. They, especially high numbers of children, simply want to be entertained in enjoyable and understandable ways. In my experience such shows are the best way to connect with large audiences in mass tourism settings, where individualistic immersion on simulations of isolated jungle trails fail. In my opinion, major zoos can and should have both to reach their highly varied audiences most effectively and create that moment of “positive arousal”, as Terry Maple refers to it--that bonding moment of empathy upon which all effective education is based. Jon Coe is a world-renowned zoo designer with over one hundred and sixty planning and design projects for over eighty-two zoos, aquariums, botanical gardens, theme parks and national parks in thirteen nations. The goal of his work is to collaborate in the creation of enriching and sustainable environments for people, plants and animals. "Beehive is an animal exhibit at the Vienna Zoo that challenges many stereotypes about zoo animals. The bees are free ranging, but not wild. They are domesticated, but not tame. They are scary for many people, but not dangerous. They are hardly noticed by most, but heavily needed by all. Beehive is a colourful and playful stage for their show." Have you been to this exhibit? What do you think of it? Let us know, below! Click the link below to see Eileen’s slide show, along with her notes per slide. (Slide 2) I’m going to start with a brief overview on the evolution of zoos, and how I think this evolution will play out in the future. I have focused primarily on what future zoos are going to look like, what some of the new types of zoos will be, and how these different types of zoos will blur the boundaries with other institutions. That’s what I’m calling the hybrid zoo. And I’m going to talk about several types of hybrid zoos. And I’ll end with some more far-out ideas for future zoos – looking much deeper into the future with some exciting (some might say crazy) future possibilities. (Slide 3) So - When we think about what zoos will look like in the future, we should probably start w/ the question – will we even have zoos in the future? Some people believe that zoos will completely die out – that ethical concerns with keeping individual animals in captivity will completely trump all other concerns, including other moral quandaries related to protecting the animal species as a whole. I disagree with these people. In the 21st century, wild animal populations are going to be subjected to almost unimaginable challenges and crises brought about my massive human changes to the environments in which they live. Zoos will continue to exist – not just as places of recreation or entertainment or even to draw attention to these issues – they will exist as a moral imperative and as a last refuge for animals against the growing storm. (Slide 4) But we all know zoos are not just for animals. They have always been and will always be about people too. In the 21st century – people are going to need zoos too. Maybe not as much as the animal species who are dependent on them for their very survival, but we’re going to need zoos. I’ve been interested in this issue of nature-deficit disorder for along time – and if you haven’t read this book (pub. 2005), you should. It’s about the issue of how our kids are losing access to nature in an increasingly urbanized, impoverished and technology-dependent world. It’s about the need to get everyone, kids especially, back out into nature, into the woods, etc. It’s based on the concept of biophilia. Zoos are uniquely positioned to fill this void and to give us more opportunities to interact with nature in a positive way. But enough of the sad stuff. I’m not here today to talk about these issues. What I want to talk about is what zoos are going to look like in the future. (Slide 5) Today, we have a wealth of different wildlife institutions, devoted to the care and management of wild animal collections and populations. Today’s accredited zoos balance four (sometimes competing) goals of recreation, education, conservation, and research. These different institutions are distinguished from one another by their focus, their draw, their size, and their mission statement. One might be a small owl sanctuary near your neighborhood – another is a sprawling wildlife reserve that spans three countries. So, as you can see, we already have a lot of different types of “zoos” – and I’m defining “zoo” rather broadly. (Slide 6) So what is a zoo? We all think we know what they are – they’re these urban parks (usually one per city), they’re flat and horizontal, they’re mostly outdoors, where we keep different animal collections on display. On a nice day, when the weather is nice, you bring your kids in the stroller for the afternoon as a leisurely outing. Sometimes you grab lunch there. Usually it’s a quick drive – maybe a half hour or less. And you’re always home by dinnertime. You never go to other zoos besides your home city zoo, because why should you? They all have the same animals, and they all look the same – right? WRONG. What I hope to do today is to talk about some different types of zoos than what we think of as the “normal” zoo. What are some of the future directions we might be heading in? (Slide 7) But before I talk about future zoos, we have to take a quick trip to the past. After the first couple of slides, you’re probably thinking I’m very pessimistic about the future of our zoos. But I’m not! In fact, I’m extraordinarily optimistic about the future of zoos, and I’m really excited about where we’re going. Because I can see just how far we’ve come in the past hundred years –Today’s zoos evolved from royal collections, menageries and circuses. Animals were displayed by themselves in small bare cages, with no thought of animal welfare and no understanding of how to properly care for the strange and exotic animals in the collection. Recreation, status, and economics were the only concerns. Education, conservation, and animal welfare were not concerns of these prototype zoos. So imagine just how far we’ve come in a little over a hundred years. I’m sure the next hundred years of zoo evolution will be even more amazing. (Slide 8) Here’s some thinking on the evolution of zoos, from George Rabb – former head of the Brookfield Zoo. This diagram is from 1992, regarding the future of zoos. It anticipated a much greater focus on conservation. In a lot of ways, we’re already here, at least in the U.S. Just about every AZA accredited zoo has a primary focus on conservation, ecosystems, biodiversity, in-situ research, and more. This implies a linear evolution of zoos. That zoos all started from the same place, and future zoos are all headed in the same direction along a singular line of evolution. (Slide 9) But we all know evolution is usually diagrammed as a tree – the evolutionary tree of life. (Plus I’m a landscape designer – I have to use the tree analogy). I see future zoo types as branching out from what has come before, in more and more different types, in a constant pattern of growth and evolution and splitting apart and forming new types we haven’t even begun to imagine. Some of these branches will intermingle with other branches and other types of institutions, forming new hybrid institutional forms. In fact, I believe this hybrid zoo is going to be a major trend over the next 50 years. (Slide 10) So what do I mean by a hybrid zoo? We tend to think of types and categories of wildlife institutions as separate boxes, with no overlap. A wildlife rehabilitation center is completely distinct from an animal theme park, and so on. But the reality is that the distinctions between them are not so clear, and they will become more alike as we move forward. That’s what I’m calling the hybrid zoo. (Slide 11) Here are some examples of these blurred boundaries. Moving farther into 21st century zoo design, these boundaries will blur even further. The future zoo will occupy the middle ground – this gradient of green between a more naturalistic side and a more human-centered artificial side. These relationships do not have to be opposing dichotomies but rather rich interplays. (Slide 12) Here’s an example. Right now, in St. Louis, if you want to see art, you go to the art museum. If you want to learn about history – the history museum. You want science at the history museum? Too bad! You want gardens at the zoo? Well, you might be in luck. After all, the full historical name is “zoological park.” And we’re starting to see science displays creep into zoos. And more and more art is making its way to zoos as well. So why do these have to be separate institutions? Why can’t we have one hybrid institution, where you can go and see animals and art, and learn some science and history, and have fun all the while doing it? 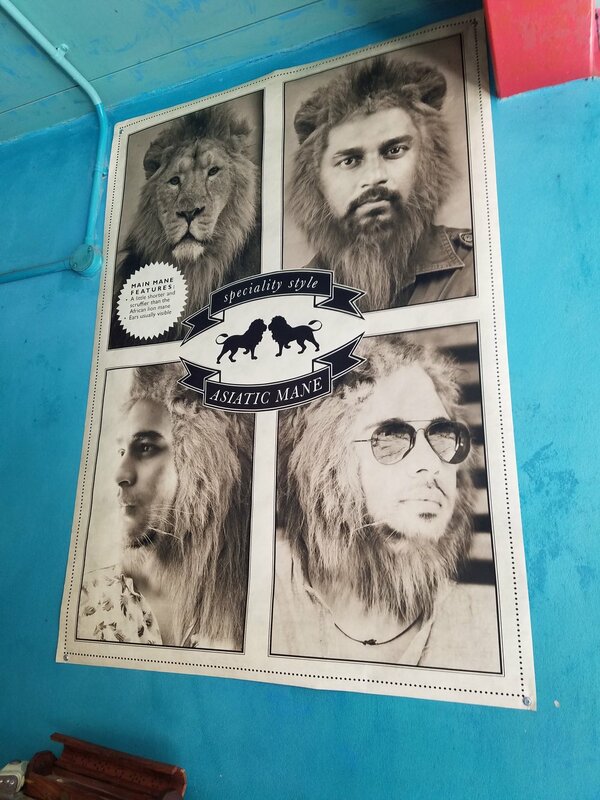 What sort of zoo would that be? (Slide 13) Well, it might look something like this: our own City Museum. This is a highly interactive, multi-story, zoo-like museum that combines animals with art, history, science, and play. It’s a tactile and sensory rich experience, in which visitors can scramble through underground chambers like burrowing prairie dogs, or climb into a lofty nest high in the trees, or playfully splash in a river grotto. Where they can physically be the animals they have come to see – the modern explorer and adventurer in an urban wilderness of visual and tactile richness. Opportunities for a multifaceted cultural experience, with an emphasis on rotating exhibitions and freeform visitor activities. Opportunity to repurpose un-used urban buildings. (Slide 14) Here’s another example: COSI = Center of Science and Industry. Science museum on Scioto riverfront in downtown Columbus Ohio – opened here in 1999, institution since 1964. Really cool Ocean zone: Poseidon themed interactive water play area, where we learn about things like laminar flow and water surface tensions, while having fun soaking our friends in the process. Why is there not an aquarium here? This is the perfect place for it. (Slide 15) Here is the next hybrid zoo type: this is what we do here at PGAV so I’m not going to go into much detail. Suffice it to say – the hybrid zoo/theme park has been around for awhile, but the trend is becoming bigger and bigger as we move into the future, and in fact it is one of the primary branches for the future of zoo evolution. In the future, the primary focus of such theme parks will still be on recreation and entertainment, and they will continue to lead the way in creating great visitor experiences and great storytelling. But the theme parks will draw more and more from other zoos and wildlife institutions. Conservation, education and even research will likely be a greater part of the institutions’ (and the public’s) focus in the future. There will be more sharing – and more blurring - between theme parks and other zoo institutions. (Slide 16) Here’s another hybrid type. This is a map of Columbus OH, showing the Zoo (the orange circle) as well as several parks and urban greenways. Urban zoos are going to become decentralized and modeled on the university concept with multiple regional campuses scattered throughout the city and region. Merge with other urban greenspaces: metro parks, green trails, city parks and regional urban greenways. Oases throughout the city - a small aquarium here, a monkey island there. Multitude of smaller environments to maintain an educational and recreational access to the wild and to nature. The urban zoo will become more accessible, from both a physical and economic standpoint. More emphasis on local wildlife. Opportunities for nature recreation: ziplining, kayaking, ropes courses, bicycling, etc. (Slide 17) Here’s another, a relatively new kind of zoo that we’re going to see a lot more of in the future: the safari park. A sprawling, regional destination – a hybrid between a standard zoo and a large wildlife preserve, usually housing African safari-type animals. Adventure park and destination, a full-day and possibly multi-day trip. 1,800 acre zoo visited by 2 million people annually, houses over 2,600 animals representing more than 300 species, as well as 3,500 plant species. Lots of different animal tour and recreational opportunities: caravan safaris to giraffe and rhino exhibits, behind the scenes safaris, cheetah runs, ropes courses, zip lines. (Slide 18) Another example: the Wilds. 9,154 acres (37.04 km²) of reclaimed coal mine land. The Wilds is the largest wildlife conservation center for endangered species in North America. Home to over 25 non-native and hundreds of native species, including Scimitar-Horned Oryx, Przewalski's Horses, and Hartmann's Mountain Zebras. Private, non-profit - The International Center for the Preservation of Wild Animals, Inc. (ICPWA)– now working in partnership with the Columbus Zoo open between the months of May and October. (Slide 19) Safari parks are destined to be huge regional draws with the potential for overnight/multi-day stays. Potential for ecotourism and “glamping” – in a yurt. San Diego Safari Park has the “Roar and Snore Safari” where you spend the night in an upscale tent (upper left). The Wilds has the yurts at Nomad Ridge (photos on right). Varying levels of luxury and ruggedness – I’d rather sleep in the fancy yurt in the center instead of that open air birds nest. (Slide 20) When we think of national park wildlife, we think of the animals as being completely wild. These wildlife encounters, usually from our vehicles, are seen as a completely wild encounter with unadulterated nature. We believe that this is the “real deal”. We never really think of animals in the national parks or wildlife reserves as anything but completely wild. But the truth is, there really is no such thing as true, untouched “wilderness” anymore. There are concerns at Kruger National Park in South Africa, where there are now arguably too many elephants that are destroying most of the vegetation. Future for these parks - even more wildlife management to protect the animal populations; more borrowing and sharing of ideas with zoos and other wildlife institutions. (Slide 22) Final hybrid type. For much of their history, many wildlife rehabilitation centers refused to accommodate visitors. These are places that nurse sick, injured or orphaned wildlife back to health, for release back into the wild. They have seen visitors as nuisances or distractions at best or, at worst, as people in direct opposition to their stated goals. Some have associated visitor accommodation with the “lesser” goals of recreation and entertainment. But that has been changing. These places are realizing that their facilities are unique places for visitor education and awareness, and are really starting to attract visitors with interpretive experiences and elaborate visitor facilities. They will continue to merge with other types of zoos as we move forward. (Slide 23) Ok, that was a quick overview of several different types of hybrid zoos. Now I’m moving on to other directions: Looking further into the future, many of these trends are for zoos 50 to 100 years from now. (Slide 24) First Trend: the Bubble Ecology Zoo – a self-contained place that replicates full ecological systems and habitats, in order to best house animal species outside of their preferred/original climatic and bioregional zone. Inspired by the ideas of Buckminster Fuller. We are already starting to do this, but this is taking it one step further to create a fully-functioning self-contained ecosystem. Designed by an associate of Buckminster Fuller. Still world’s largest closed system. Now owned by the University of Arizona since 2011. 3.14-acre structure. Generally considered to be an unmitigated disaster (from the perspective of a social experiment), but is still inspiring future zoos. The domes consist of hundreds of hexagonal and pentagonal, inflated, plastic cells supported by steel frames. The first dome emulates a tropical environment, and the second a Mediterranean environment. The Tropical Biome, covers 3.9 acres and measures 180 ft high, 328 ft wide and 656 ft long. It is used for tropical plants, such as fruiting banana trees, coffee, rubber and giant bamboo, and is kept at a tropical temperature and moisture level. The Mediterranean Biome covers 1.6 acres and measures 115 ft high, 213 ft wide and 443 ft long. It houses familiar warm temperate and arid plants such as olives and grape vines and various sculptures. "Desert Dome" is the world's largest indoor desert, as well as the largest glazed geodesic dome in the world. Opened 2002. Beneath the Desert Dome is the Kingdoms of the Night,and both levels make up a combined total of 84,000 square feet. The Desert Dome has geologic features from deserts around the world: Namib Desert of southern Africa; Red Center of Australia; and the Sonoran Desert of the southwest United States. 112 feet high and larger than the Tropical House at Eden. The project covers 172,000 square feet and will simulate the natural African rain forest habitats of the Congo. It includes an undulating dome which will be one of the largest ETFE clad free form roof structures in the world and contain a jungle canopy with an authentic climate. The 'Heart of Africa' Biodome will be home to a band of gorillas, a large troop of chimpanzees, okapi (rare giraffe-like creatures), birds, amphibians, reptiles, fish, and invertebrates. An interactive water ride will provide extensive views of the animal enclosures. Themed retail and dining facilities will also be incorporated. “The zoological island of Korkeasaari will be cut off again. Its architectural interventions will be concentrated to make it wild and mysterious once more – a park / garden as a place of popular privilege, the nobility of the future city. Architecture disappears in favour of controlled geography, like the resurgence of a neighboring landscape. The entrance grouping the set of utilities crucial to the running of the zoo becomes a focus of visual identity, somewhere between form and shapelessness, pierced with cavities. (Slide 30) Multistory zoo. Why not go vertical? Especially in increasingly urbanized and dense populated areas. Zoos don’t have to be horizontal. Aquariums have been going vertical for decades. “The idea of the pavilion was characterized by the superimposition of six ways of being of the landscape.From the ground floor, the "dune landscape" leading to "greenhouse landscape," space in which nature and, above all, agricultural production, showed strong union with life, even in the new high tech world.In the "pot landscape" big pots hosting the roots of trees located on the top floor, while throwing screens and digital images of light and color messages. “The Vertical Zoo is a balanced and sustainable space where people and animals can coexist in harmony. Wrapped in lush vegetation, the star-shaped building makes use of green building strategies to reduce heat gain, encourage natural ventilation and soak up rainwater. Totally self-sufficient, the tower's aim is to be a sustainable refuge for all animal kingdom species. Built from a six armed star-shaped level designed to maximize space, views and circulation. It is based on a nucleus or a tree trunk from which emerges six branches, each 20 sq meters in size which all serve different programmatic needs. These program blocks provide space for zoo activities, visitor needs, administration, circulation and ventilation, and spaces for sustainability. Modular by design, more star-shaped levels can be added on top as needed or as funding becomes available for new facilities. Capable of providing its own water and energy through rainwater collection and solar power. Arrangement of the star-shaped levels encourages natural ventilation and improves views. Multiple towers can be built together to create a larger interconnected complex. Footpath winding around an inner core of animal enclosures, all within a net-like steel shell that lets in air and sunlight as well as a controlled amount of rainwater in certain areas. The nets and cables support vegetation that gives the tower a more natural feel, and select pockets serve as open-air nesting for the birds. (Slide 34) A wildlife corridor is an area of habitat connecting wildlife populations separated by human activities or structures (such as roads, development, or logging). Huge, regional scale – possibly spanning multiple countries. Allows an exchange of individuals between populations. This may potentially moderate some of the worst effects of habitat fragmentation,wherein urbanization can split up habitat areas, causing animals to lose both their natural habitat and the ability to move between regions to use all of the resources they need to survive. Habitat fragmentation due to human development is an ever-increasing threat to biodiversity, and habitat corridors are a possible mitigation. Here are some examples of wildlife bridges, which allow animals to cross human structures unimpeded. Especially useful for wide-ranging animals like wolves (Though, if I’m a wolf, I’m hanging out right by the wildlife bridge for prey). (Slide 35) Here’s another example: green roofs. Becoming increasingly common. Scattered throughout dense urban areas on multiple rooftops. These could become home to migrating bird species and other migrating animal populations. (Slide 36) Virtual or digital zoo is a way to interact with animals remotely, using technology. We all remember the PandaCam Crisis of 2013, also known as the government shut-down, when the Smithsonian’s National Zoo live feed from the panda exhibit went dark. As new technologies emerge, there will be more and more opportunities to view and interact with animals all around the world. The world is shrinking. To be honest, I find this type of zoo much less compelling. There is NO substitute for real, live, face-to-face interaction with real animals. There are obvious, enormous ethical issues with this, but I’m not going to open that can of worms today. (Slide 38) What I will say is this: This is probably going to happen in the next centuryso we should probably be thinking about what that means. What does this mean for future zoos? Will these be the new pandas? The superstar species that draws most of the visitors? If offered a live mastodon, what zoo will turn them away? How do we keep these species from becoming just a mere curiosity? How will we know if their physical, environmental, social and intellectual needs are being met? Shouldn’t the ultimate goal be reintroduction to the wild rather than keeping a captive population? It’s certainly a complicated issue, but a very real possibility. (Slide 39) We’ve been sending animals (specifically mammals)up into space since the late 1940s. Lots of primates through the 1950s and 1960s. Even today, experiments with fish, mice, and more on the International Space Station. Primarily for research purposes thus far. What happens when we start to colonize space? (Slide 40) Eventually we’re going to start colonizing space – the moon, Mars, an asteroid, the moon Europa, or elsewhere in the solar system. When we think of space colonies, we tend to think they will look something like this: Barren, dull, lots of metal and hard surfaces; The only life forms are human. (Slide 42) Here are some other views. Whether we start colonizing the final frontier on giant rotating torus-shaped stations, or on terraformed colonies on the moon, Mars or Europa – we will bring our animal cousins with us. The following is an adaptation of a presentation I gave in September 2013 at the AZA National Conference as part of the session ‘Enrichment as Guest Experience.’ This is part two of two. Check out Part 1 here. What is experience? Put quite simply, it’s everything. Literally and figuratively. Experience at zoos and aquariums is everything from the moment your guest turns onto your property in their car. It’s every moment, every interaction with staff or animals, every view. All of these moments combine and culminate to create an ultimately positive or negative association with your institution. Experience is also quite possibly the most important aspect of what you do. Maslow’s Hierarchy of Needs summarizes the pattern of human motivations from the most basic to the sublime. A parallel can be made to your guests’ needs. Meaning, before we can reach people on a transformational level, we must satisfy their lesser needs beginning with the desire first to be comfortable and safe, moving through to simply having a good time, onto learning something, which sparks something deeper (the ‘I wanna help’ moment), and ultimately providing them the inspiration to take action. The key here is to remember that your guests do not come through the door ready to be transformed. We must provide a great guest experience starting with the most basic needs guiding them to transformation. This one’s simple. The ultimate goal of every visit is to create or facilitate transformational experiences. We do this through engagement, empathy and empowerment. We aim to create Activists—both for conservation and wildlife, but also for your institution itself. Your guests are your best marketing tool and PR managers—when they’re on your side. How do we optimize experience to achieve our goals? One major method is through the use of storytelling. Yes, it’s a buzzword right now, but for good reason: it works. Human beings have been using storytelling as a means to convey information for thousands of years. Why not use what works? And it’s universal, appealing to every age group, ethnicity and educational background on the planet. But stories are no longer passive or 2D experiences. Our lives are dominated by choice and interactivity. We live in an instant gratification society. This doesn’t necessarily mean that every experience should incorporate digital media. It simply means people today like to display some control over their environment, and the more choice we can give them, the more engaged our guests will become. Humans are highly visual, and in fact, as state before, we’re highly sensorial—and the connection with the senses, the more powerful memories may be. Creating places that stimulate the senses triggers other memories and sparks the imagination. Environment can also contribute to story with the use of the unexpected. Our minds work by piecing information together by making assumptions based on past experiences. When something doesn’t look or feel as we expected, our minds go into overtime trying to reconcile the past experience with the current. This leads to a simple truth: surprise gets our attention. Humans are social animals. We yearn to connect with others. We want to find commonalities, to empathize. So it’s no surprise that storytelling is most effectively achieved by people connecting with people. In fact, it’s been shown in study after study that guests learn more and are more interested in the animals at zoos after interacting with docents and keepers. The best animal stories are those told by the animals themselves. Similar to our desire to connect socially with other humans, we also want to connect with animals. And if you examine how we connect, you’ll see it’s often with our senses—perhaps most importantly, through the sense of touch. 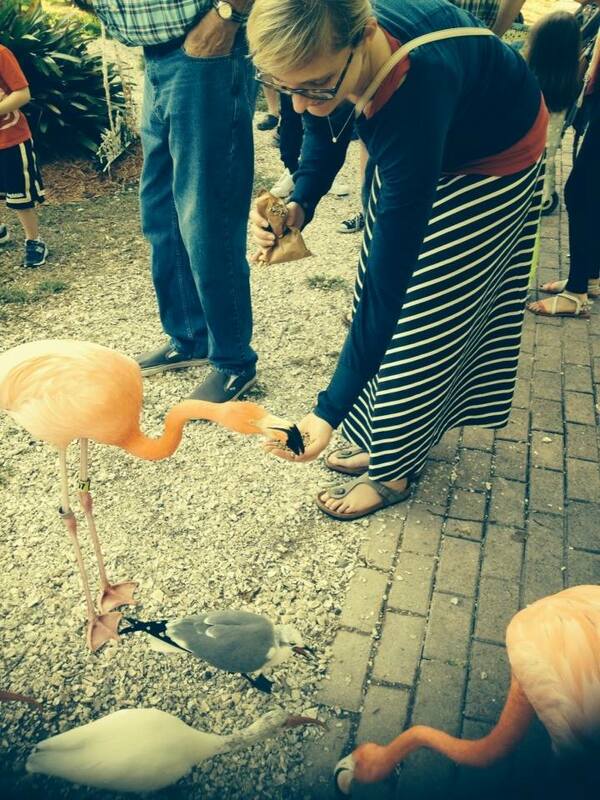 One of the most memorable, most affecting guest experiences is being able to physically touch animals. But, if we cannot touch, we want to be as close to the animal as possible. We want to interact with the animal, we want to get a reaction from the animal. We want to feel as if we’ve been noticed and seen—like we’ve engaged directly—with the animal. Just like how we connect with people. These three elements of storytelling are also major aspects of Enrichment. Environment is enrichment through provision of choice, change in habitat, toys, etc. People deliver the enrichment whether through keepers or even special guest experiences. And, of course, the Animals are the recipients of the enrichment. Getting creative about how we enrich the animals in captivity while also keeping the guest experience top of mine will only continue to improve the guest experience and ability of zoos and aquariums to achieve their missions. A few years back, the PGAV Zoo Design Specialty Development Team worked through a group exercise examining the state of 'greeness' in zoos and aquariums. At that time, these facilities seemed to be participating in green practices in a generally superficial manner. Today, things are turning around, environmental responsibility is becoming a top priority, and some institutions are truly becoming green leaders--not only talking the talk, but walking the walk. In my most recent Blooloop.com post, I examine the state of green in zoos and aquariums today. Check it out here. With longer days, kids off school, and weather that just begs for folks to roam outdoors, summertime is the busy season for the vast majority of zoos. Because of that, many zoos target late spring early summer for exhibit openings, hoping to further entice veteran zoo-goers and first-time visitors alike. Unlike recent years, June 2013 seems to have been an especially noteworthy month with a handful of new exhibit openings and a major ground-breaking. Seattle Aquarium's Harbor Seals: The $6.5 million exhibit opened with a deeper pool and nose-to-nose viewing. Oregon Zoo's Elephant Lands: The $53 million exhibit broke ground in June, and features 3.6 acres for the elephants with a 36,000 square foot barn. Additional focus on enrichment with unique feeding stations, mud wallows and plenty of water access. Shedd Aquarium's At Home on the Great Lakes: With a local focus, the new exhibit (part of the existing Waters of the World) brings attention to native wildlife and issues they face. Features a Sturgeon touch tank. Como Park Zoo's Gorilla Forest: The $11 million exhibit doubles the outdoor habitat for the Zoo's 7 gorillas to 10,000 square feet. The yard is fully enclosed in mesh and features lots of nose-to-nose viewing opportunities. San Diego Zoo's Conrad Preby's Australian Outback: The $7.4 million exhibit features a new facility for koala husbandry and viewing along with a variety of other Australian species. San Diego Zoo's Conrad Preby's Africa Rocks: Officially announced in June, the Africa Rocks exhibit will feature three distinct habitat types housing over 50 species of small animals. The Zoo is working to raise a total of $30 million. New England Aquarium's Giant Ocean Tank: After $17 million in renovations, the 200,000 gallon tank features over 65 new pieces of acrylic to increase viewing of the new artificial Caribbean reef. Greensboro Science Center's SciQuarium: The first inland aquarium in the state, the Science Center continues to redefine our notion of science-based experience with the opening of the $32 million, 22,000 square foot facility. National Aquarium's Blacktip Reef: Officially opening in early July, the 260,000 gallon Caribbean reef exhibit will eventually be home to sharks in addition to its 75 other species. By Trisha Crowe Until recently, the use of the word “trails” at zoos typically referred to pathways that allowed visitors to travel throughout a zoo to look at species in (relatively) small enclosures. Now through innovative design, some animals are able to access enclosed trail systems which are opening up a whole new world for them. The trails afford them the opportunity to explore areas that were previously inaccessible from their smaller, standard exhibits. Since this type of exhibit has only been implemented over the past few years, research regarding the impacts on the animal’s physical and psychological well-being is only in the early stages. Proponents of the animal trails have high expectations surrounding the benefits to both the animals and to the visitor experience. For one thing, many animals in the wild spend time in trees or above the ground. Overhead trails allow animals to be up higher than their human counterparts, which is believed to relieve stress in some species. These animals are also experiencing added stimulation from having a new perspective and new spaces to explore. While habitat areas in traditional exhibits may grow “stale”, allowing the rotation of species through the same trail system can also provide sensory enrichment and opportunities for animals to get more exercise, thus helping to avoid lethargy and stereotypic behaviors. For larger land mammals such as elephants, giraffes and hoofed mammals the trails provide more area to roam, which more closely resembles their natural habitat and allows for the expression of more “normal” behaviors. These exhibit types also allow for more unique visitor experiences; from seeing the same animals in different places on the trail throughout the day to seeing entirely different species in the same area on different days. 2013. Treetop Trail will be extended down a main path to the primate reserve, intersecting a new children’s zoo and education center opening in the spring. A climbing tower will allow visitors to see the primates on the trail system at eye level. 2014. Another new trail will link the orangutan trail with the big-cat areas and later with a gorilla exhibit. 2015. A pilot trail for large land animals will connect the existing African Plains exhibits; allowing zebras, rhino, giraffe, hippos and antelope to rotate through one another’s exhibits. 2016. A new exhibit for hoofed animals that use the land trail system will open. Listed below are other examples of trail-type exhibits that have either already opened or are under construction. Cleveland. Elephant crossing at Cleveland Zoo is spread over five acres of lightly wooded grasslands, African Elephant Crossing. It features two large yards for roaming, ponds for swimming, expanded sleeping quarters, and a heated outdoor range. Jacksonville. The Range of the Jaguar at Jacksonville Zoo is a 4.5-acre exhibit that features over 80 species of mammal, reptiles, fish, and birds representing the Central and South American habitat of the jaguar. Louisville. The Islands Exhibit features endangered animals that are rotated through four habitats connected by transfer aisles to allow safe passage of species. Louisville. Polar Bear Crossing at Glacier Run is just part of the large Glacier exhibit for the bears where they can also play in the 80,000 gallon pool, dive off rocks,and explore dig pits. The indoor Bear Alley exhibit in the center of town offers fun diversions for bears and visitors. I believe that there is a LOT of value in looking at examples of Show Productions outside the Zoo and Aquarium world, specifically Broadway and Vegas, because these attractions can teach us a lot about where we are headed…about where the future of Show Production lies. In order to figure out what Tomorrow holds, we first need to look at Yesterday and Today. In the past 5 to 10 years, and probably for the next 5 or 10, one of the big trends has been the incorporation of technology into theater. This is more than just a few special effects (like the turntable in "Les Mis", or the falling chandelier and floating candles in "Phantom"), but really the integration of technology into the entire production (music, props, sets, costumes, lights). It’s about Technology (Video Projection, Puppetry, Computer Lighting) infused into the storytelling. This is a trend that started a long time ago (more than 10 years ago) with shows like “The Lion King”, and has been taken to a new level with shows like those by Cirque du Soleil, which use technology as one of the main drivers of the performances (think “O”, which is done entirely over a giant stage pool). So where is this headed? From all the trends that are happening, the future lies in integration of the two themes from ‘Yesterday’ and ‘Today’: Storyline and Technology. At the very root of theater is the power of the story…that’s what brings the audience into the world of the characters, and compels them to stay involved with what’s happening on stage. That’s why shows of ‘yesterday’ have stood the test of time…the stories are just damn good. But it’s technology that leaves the iPhone/YouTube audiences of today slack-jawed. The marvel of seeing something happen on stage that you could never imagine, and that blows you out of your seat, is incredibly visceral. Shows that use technology to drive the storyline and make Personal Connections will transform the landscape of theater in the future. When technology becomes so integrated into the production that it almost begins to ‘disappear’, it’s the performers and their stories that become the highlighted elements. When that happens, the Story becomes the focus of the production, and personal connections begin to happen. Technology is totally integral to telling the story. One of the best examples of this would be “Ka”, at the MGM Grand in Las Vegas which manages to use technology in spectacular ways that actually advance the storyline, and allow the actors and director to tell a story that they otherwise wouldn’t be able to tell. These are all attractions that use technology to tell the story in ways that create those Personal Connections with the guest. The audience has no choice but to be wrapped up in the storyline unfolding and becomes completely open to receiving the story or the message that is being delivered. And that’s how theater and show productions transcend expectations. Read Part 1 of 'Entertaining the Future' here. Dave Cooperstein is a Senior Creative Designer at PGAV Destinations, where he’s spent the past 15 years master planning zoos and aquariums, developing ride and show concepts for world-class theme parks, and designing for some of the most popular themed attractions around the country and the globe. He also writes for PGAV Destinations Blog, is an dad, architect, actor, storyteller, tech nerd, and card-carrying member of the International Jugglers’ Association. Over Memorial Day weekend, SeaWorld Orlando opened their biggest expansion to date, and it was all dedicated to our favorite aquatic flyer, the Penguin. 'Antarctica: Empire of the Penguin' incorporates a whimsical family ride with a deeply immersive animal exhibit. We're not here to discuss the ride; we are here to celebrate the exhibit. The space is chilled to the comfort of the birds at 32 degrees Fahrenheit. Approximately 250 birds, including gentoo, rockhopper, adelie and king, occupy 6,125 square feet including a 170,000 gallon, 20' deep (amaze-balls!) pool. The birds are treated to 20,000 lbs of snow a day blown in for their enrichment, comfort, and for experiential authenticity for the guests. The lighting is also controlled to mimic the South Pole. While my investigation is certainly not comprehensive, I believe this exhibit may be the largest penguin exhibit in the US, if not the world. And, the pool may also be the deepest. Certainly, the deepest I've seen, and it makes for some very exciting animal viewing. The 4-acre project also includes a themed restaurant, offering up a selection of food inspired by the countries that originally explored Antarctica, as well as a retail shop. April showers bring May flowers, but here at DesigningZoos.com, April sea turtles bring May Nile hippos. Naturally. The latest fact sheet focuses on everybody's favorite awkward-on-land-but-fierce-in-the-water mammal: the Nile Hippopotamus. Hippos live in groups of up to 30 animals and are extremely dangerous. They spend their days soaking in the water, but stretch their legs on the riverbanks to graze in the evenings. Because of this, DZ recommends you avoid that sunset walk along the banks of the Nile. Learn other important facts by checking out the Animal of the Month entry, here. Character and ambience are often noticed subconsciously, defining the feeling of a place; contributing to the brand. Most people recognize historical charm or modernist style, and may understand their predilection for a certain design aesthetic. Oftentimes, these predilections are borne from a person’s associations with comfort and happiness, as in a childhood home or the neighborhood where two people met and fell in love. The same associations can be true in zoos. Guests come to the zoo with a whole host of preconceived notions, from their ability to correctly identify a brown bear from a sun bear to their favorite hamburger toppings. This means that, just like the many styles of residential homes, zoos also have a variety of styles--endearing themselves to some visitors, while disaffecting others. Because zoos cannot be all things to all people, they must clearly define themselves. And, as often is the case in architecture, taking a cue from their context (i.e. an urban zoo just north of downtown Chicago) may prove to be a well-received approach (although just as in architecture, juxtaposition from context may also be a successful strategy, i.e. the wilds of nature in the middle of New York City). Lincoln Park Zoo is an example of using context as a guide for physical planning and aesthetic, and, in so doing, is the prototypical Urban Zoo. Opened in 1868, Lincoln Park Zoo is one of America’s oldest, and its long history is reflected in its physical plan. Nestled inside Lincoln Park, the zoo’s roots trace back to the addition of a pair of swans to a park pond, quickly followed by the acquisition of a bear. As such, the zoo is a reflection of the 19th century urban park in which it was derived with grand walkways, formal gardens and ornate buildings. This was (and still is) a place to escape the congestion and grit of early city life. A place to recreate with the family, to socialize with friends. A place to take time, to stroll slowly, to enjoy the softness of a green lawn under bare feet. This was an urban park that just happened to have animals. Today, the Zoo is more than simply a ‘park with animals’. And although the historic aspects have been maintained out of respect (and out of requirement--monetarily and preservation-wise), the Zoo has moved squarely into the 21st century. The Regenstein Center for African Apes is highly regarded around the country as a leading facility for gorillas and chimps in captivity, both in the physical design as well as the husbandry practices. The Regenstein African Journey utilizes compelling visual storytelling and theming to transport Chicagoans to jungles and savannas in a rich indoor and outdoor experience. Portions of the Small Mammal House are fully immersive and spectacular, and the Pritzker Family Children’s Zoo, including the indoor Treetop Canopy Climbing Adventure, is an inventive and playful walk through the woods, pairing physical play with small animal exhibits. Alas, the historical nature of the Zoo does create challenges. Despite renovations, many of the original indoor exhibits (termed ‘houses’ as in Lion House, Bird House, etc.) leave much to be desired. The Kovler Lion House is especially depressing, with cage after small cage housing medium to large cats, including the namesake. Although the indoor stalls do connect to outdoor exhibits, the negative perception from the indoor visual (and smell of years of stale cat urine) ruins any chance of a positive impression. Similar in layout, but far less offensive, are the Bird and Primate Houses in which cages have been updated and refurnished and theatrical lighting added to soften the original historic nature. The Zoo did cleverly reuse an old animal exhibit building, however, converting from its original use into a centrally located restaurant. Additionally, the urban-ness of the Zoo is in itself limiting. Ironically, getting to the Zoo is somewhat challenging with $20 parking and no convenient L stop. The towering skyscrapers will never be hidden allowing a total escape into the wild. The 35-acre site is landlocked, and without acquisition from the neighboring park, will always fight for space with itself. The historic buildings preclude demolition, and, in fact, the site itself may have historic preservation issues for future demolition, as has been the case in other zoos with bear pits and allees. But the in the end, these limitations are what make Lincoln Park Zoo, Lincoln Park Zoo. The history, the urban park-like setting, the city looming just outside the gates. City-dwellers find solace in the escape, tourists appreciate the zoo for being apropos. For its character, its ambience. For being…so Chicago. By Cray Shellenbarger Zoo design is as difficult a task as any. We attempt to set criteria based upon needs of animals, visitors, zoo staff and zoo administrators. One of the biggest issues I see is the balance between education and entertainment. Zoos generally advertise themselves as promoting education and conservation, but as designers we cannot forget that a large number of attendees come to be entertained. It is the job of the design team to educate the public about conservation and the individual animals in a variety of creative ways. Oftentimes, it is better to be subtle with our techniques so that patrons do not feel that they are being bombarded with information. I believe that by creating more immersive, interactive and technologically advanced exhibits we can achieve the goal of educating the public, and perhaps pick up a few added benefits along the way. By creating an immersive, realistic environment for both the animal and the guests, the exhibit is passively conveying information. By incorporating lifelike materials with ambient sounds and water as appropriate, the guest is gaining an understanding of the animal’s habitat and ultimately its place in the ecosystem. The guest can be provided a few visual cues to make points, instead of being forced to read text. These exciting elements may have a better chance of sticking with the guest compared to text that is often passed by. Materiality is also very important in immersive environments. By incorporating real rock, landscape or sand as opposed to murals or other less genuine methods, the guest can better understand the environment. Obvious barriers can also inhibit the engagement between animals and guests. Hiding these within landscape can add to the sense of immersion and, ultimately, optimize the educational experience. Creating an immersive exhibit will provide the animal with a more natural environment. Along with naturally appropriate enrichment techniques, we can begin to correctly portray the animal’s native behavior. Enrichment ideas and any necessary training should avoid anthropomorphizing of animals as much as possible. Many people associate animal’s behaviors with human behaviors and emotions when these, depending on the animal may be very different. Along the same lines as immersive exhibits, I think it is of great importance to include as many interactives as possible. Humans learn by doing. If we can provide some kind of activity that indirectly exposes the user to information about animals or conservation it will be successful. These can range from touch experiences to puzzle type exhibits. I think that zoos see the importance in these now, but by adding more, we can really enrich the educational and entertainment experience simultaneously. A recent example is a high-tech exhibit touch screen wall at the Pittsburgh Zoo. The last and arguably most important aspect is our fast growing mobile technology. I think it is imperative that we begin to capitalize on the interconnectivity of nearly every zoo guest. It is rare to see a visitor without a smart phone or tablet. Some theme parks have already begun to incorporate applications that can be loaded onto these devices to engage and interact with the guest. One example is the application that Sea World Orlando launched for its Turtle Trek attraction. This interactive game allows users to portray the characters and create a personalized experience. This idea can be utilized from more than one angle. Ads and sponsorship could be incorporated to help cover the initial cost of launching as well as produce continued revenue generation over time. The application could also help motivate guests to explore exhibits outside of the big attractors. This would have an effect on guest flow, but could help balance the people per minute at any one exhibit. Educational elements of this kind should be incorporated as well. There are countless ideas that could be incorporated that could help balance education and entertainment while generating additional revenue for the zoo. By building immersive, interactive, and technologically advanced exhibits, we can further engage the guest. This engagement comes with the added benefit of conveying more knowledge while creating a more entertaining experience and generating revenue. The emerging technology is a powerful tool that we should use to our advantage. The Zoo is constantly advancing, both from a guest and business perspective. The zoos of today are very different from 60 years ago, and they will no doubt be vastly different 60 years from now. The new year is just around the corner and like so many, I've put together a list of the year's highlights--from a zoo design perspective. So, on this final Friday of 2012, grab a cup of joe, tea, or a good ole fashioned flute of champagne and follow along as we recount the opening of permanent exhibits across the U.S. in 2012. Opened in March, the koala habitat--one of only 10 in the US--anchors a series of Australian exhibits including a lorikeet feed. 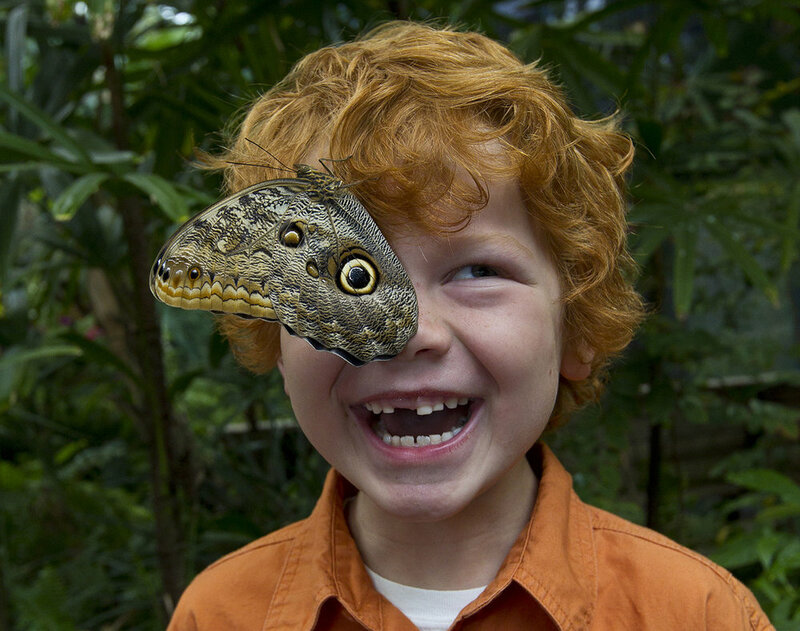 Opened in March, this extensive indoor / outdoor exhibit is one of few major new exhibits in many years to focus entirely on the 'creepy crawlies' of the zoo--attempting to make stars out of those species often overlooked. Opened in March, the completely re-vamped exhibit area features an integrated demonstration theater. Opened in April, this innovative exhibit and 3D theater experience is a renovation of the existing manatee and turtle exhibits that concisely and powerfully delivers a critical conservation message: You can be an everyday conservation hero. Opened in April, the 90,000 gallon freshwater exhibit renovation--converted from a saltwater tank--features species that grow to enormous sizes. Opened in May, the collection of aquatic exhibits replaced a temporary jelly exhibit and features a ray touch pool. Opened in May, the habitat provides above and below water viewing for the Aquarium's 12 new Magellanic penguins. Opened in May, the African complex is anchored by a major renovation to the elephant exhibit including improved visitor viewing and greater enrichment opportunities for the animals. Opened in June, the exhibit features updated homes for tigers, cougars and snow leopards, and eventually achieved Gold LEED status. Opened in June, the innovative 10-acre exhibit is built for up to 8 bull elephants, along with many other Asian species, and features a series of yards--including an overhead transfer bridge--with a deep pool for full submersion. The exhibit also utilizes Timed Entry--limiting visitor capacity--to ensure a great guest experience. Opened in June, Sea Lion Sound features an entirely new exhibit--featuring a 'never-before-seen for sea lions' walk-thru tube--and large integrated show amphitheater. Opened in June, the entirely new exhibit area, anchored by polar bears with underwater viewing, features species new to the zoo including bears, otters and seals. Opened in June, this new freshwater experience replaces the original Tropical Reef and features in-water viewing of marmosets and small clawed river otters. Opened in August, the revamped lion exhibit enriches the habitat and increase visibility for the guests. Baboons were also brought back to the zoo. Opened in August, the first phase of the first-of-its-kind trail system allows apes to traverse the zoo through a system of overhead mesh tunnels. Opened in August, the new Australia exhibit allows a barrier-free experience among emu, swan, wallabies and budgies. Opened in September, this series of exhibits completely revamped the existing North America section of the zoo, and features a large sea lion exhibit with demonstration area. Opened in September, the lovely exhibit with partial underwater viewing is a true jewel for the small, local zoo. Opened in September, the 20' tall exhibit for a pair of bobcats marks the first major capital investment for the tiny zoo in twenty years. Opened in September, the zoo's new home for their 3 sea lions and 2 seals caused record attendance for Labor Day weekend. Opened in September, the naturalistic bear exhibit marks the completion of the Minnesota Trails exhibit complex update. Opened in November, this small exhibit allows guests to pop-up into the habitat of iguanas and Amazonian fish. Did I miss any? Let me know by commenting below. Wishing everyone a Happy Zoo Year! A recent and developing trend in zoo design is the use of trails for animals--expanding the area available for exploration and exercise beyond the typical exhibit footprint. I believe this trend began with the invention of the 'O-line' at the National Zoo nearly 20 years ago. The O-line provided a system of transport for the Orangutans between exhibits using their natural behavior of brachiation, and maximized efficiency by utilizing vertical, rather than horizontal, space. However, over the years, the O-line has supposedly become less utilized by the Zoo due to staffing constraints. Rumor has it that because the O-line crossed above visitor pathways, keepers were posted below the O-line for safety and clean-up when in use. Recently, the Indianapolis Zoo released plans for an architecturally impressive International Orangutan Center featuring an updated O-line. It appears this system limits the animals' range over 'people space' and hopefully alleviates some of the concerns of the original National Zoo system. We'll be discussing the Trails Trend further in the coming months.